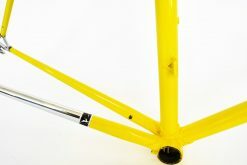 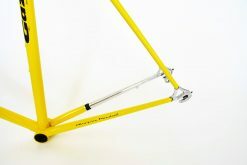 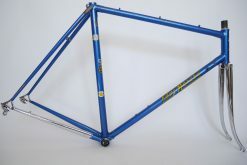 Vintage Gazelle Champion Mondial frame 58 c-c Campagnolo frame and fork. 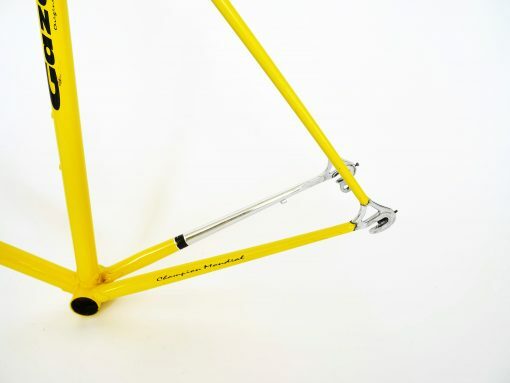 Handmade in Holland. 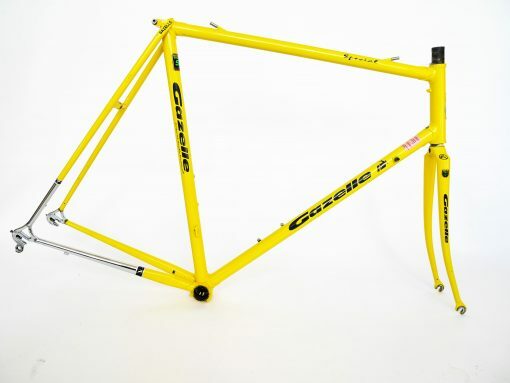 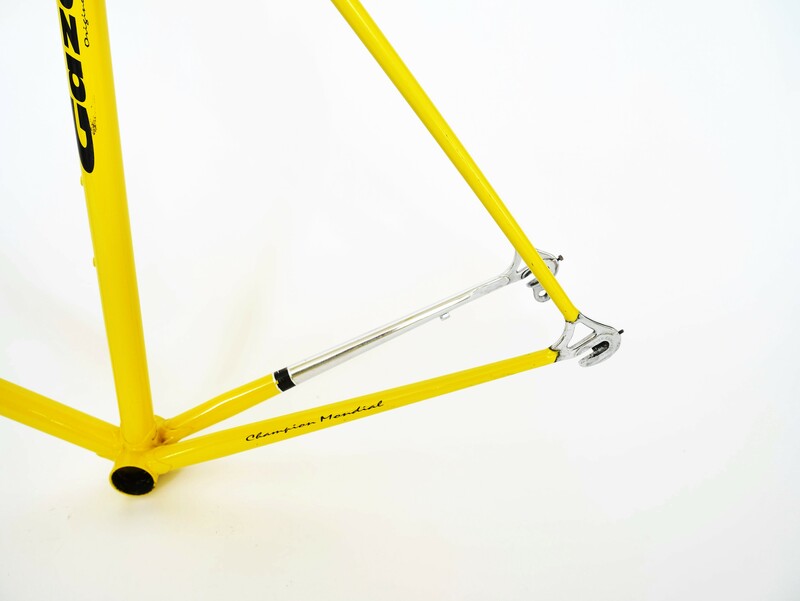 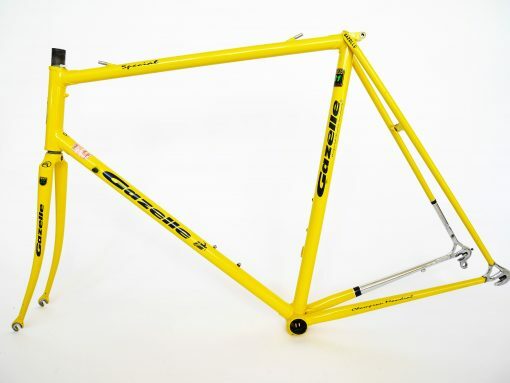 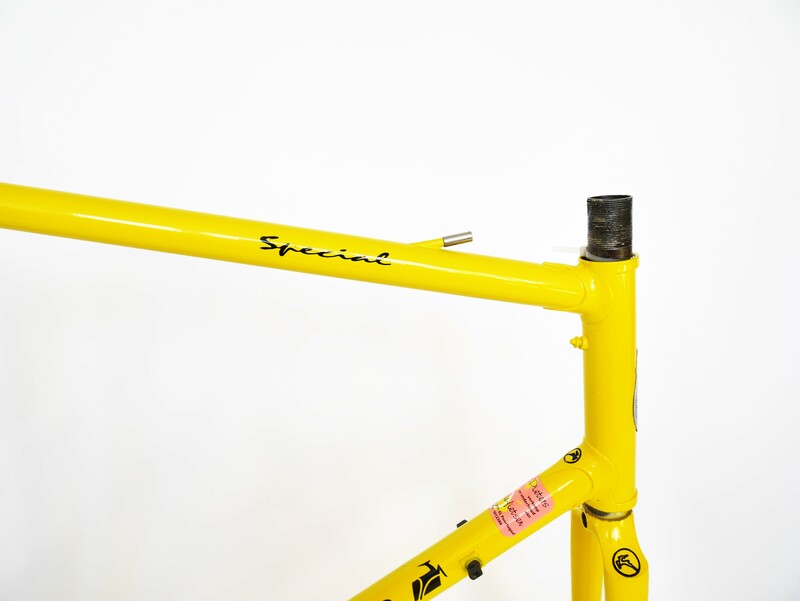 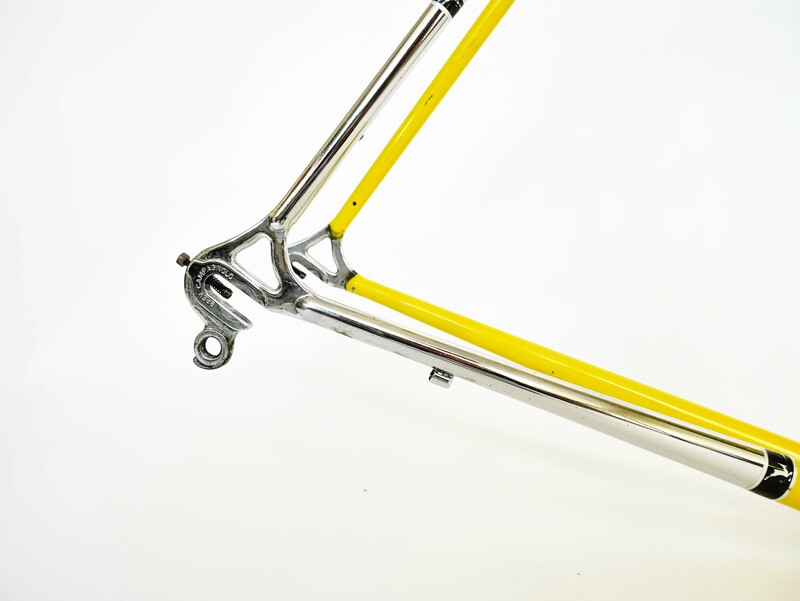 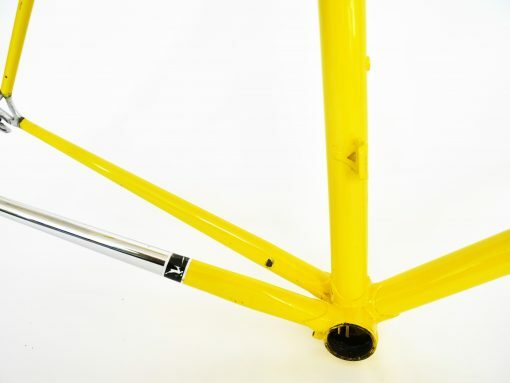 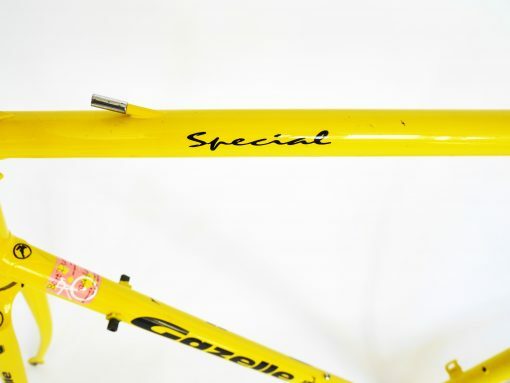 Ready to build the bike of your dreams with this beautiful Vintage Gazelle Champion Mondial frame 58 c-c Campagnolo frame and fork Dutch design.The Dutch Gazelle was for many years one of the largest bicycle companies in the world. 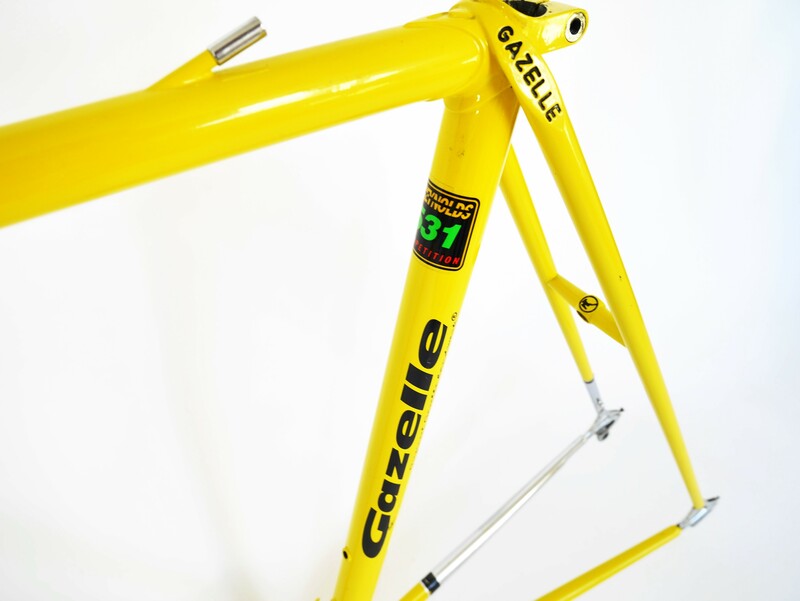 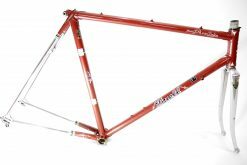 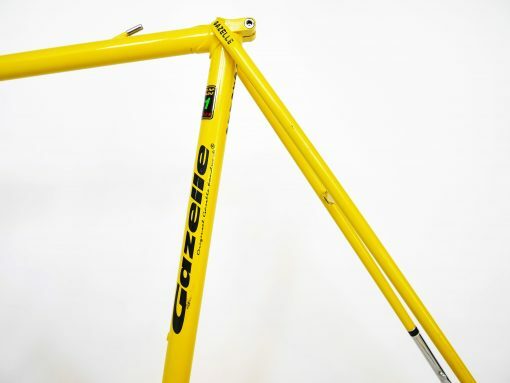 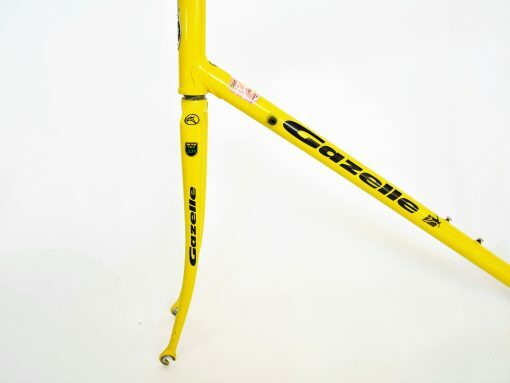 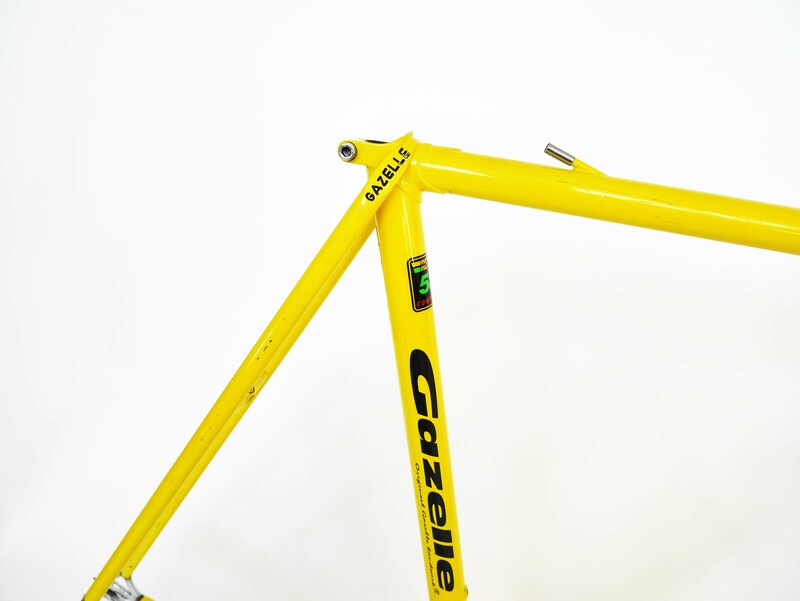 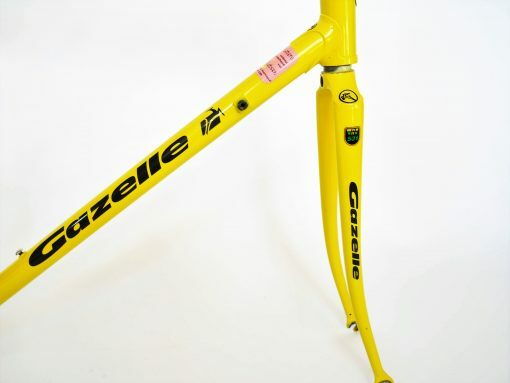 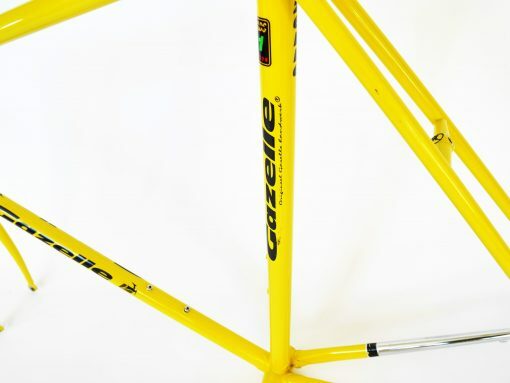 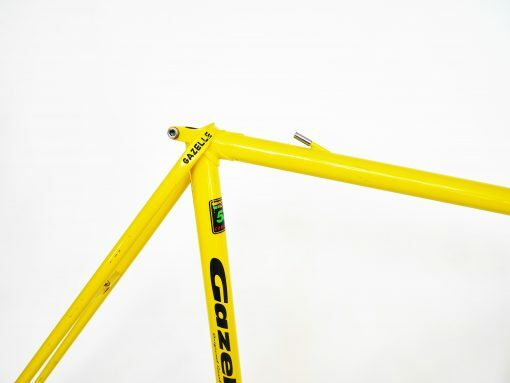 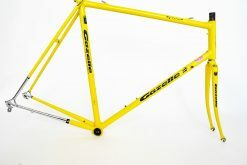 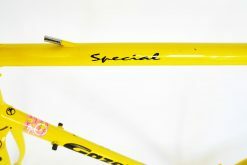 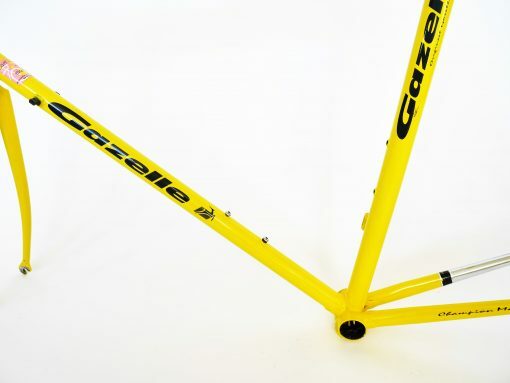 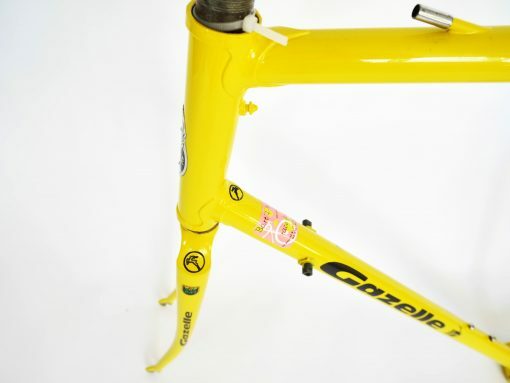 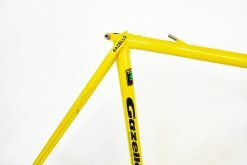 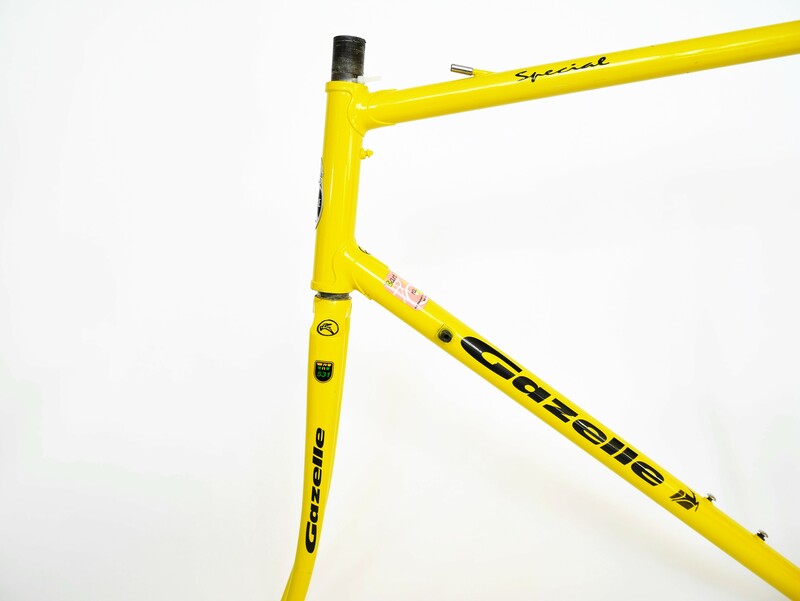 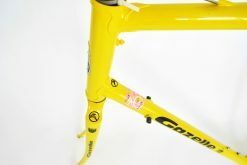 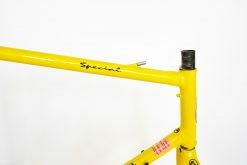 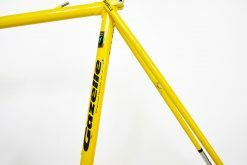 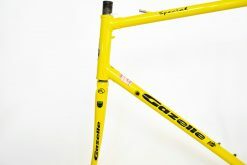 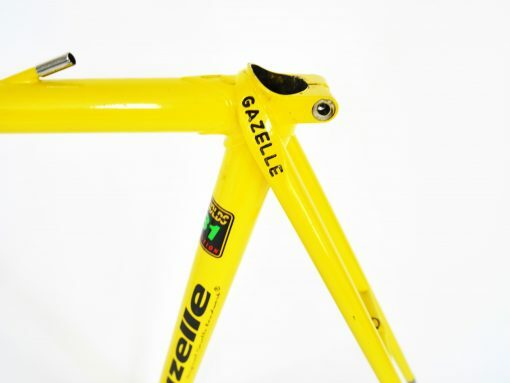 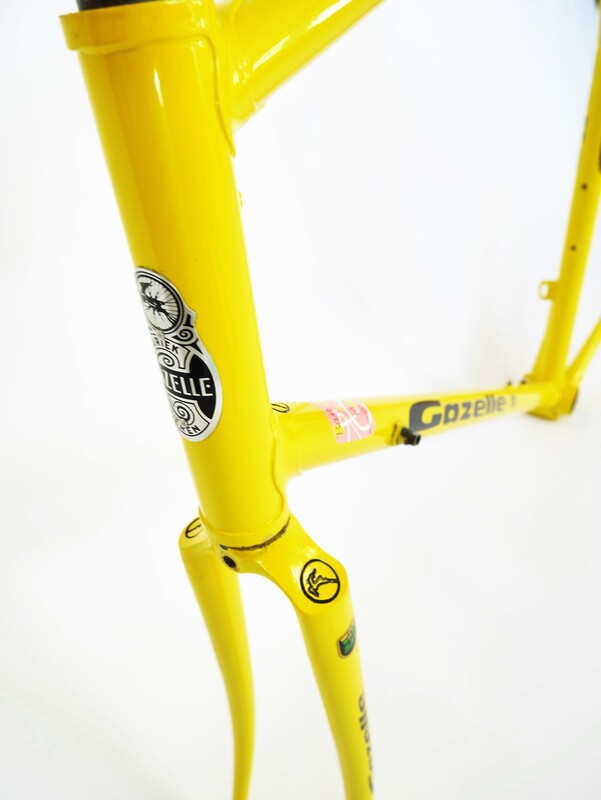 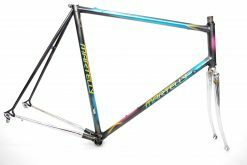 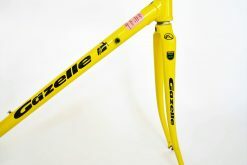 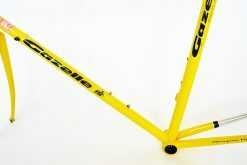 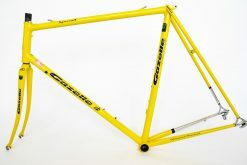 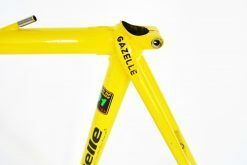 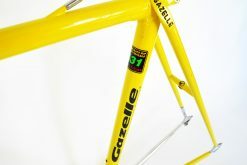 They had a professional road bike range and one of their professional frame models was the legendary Gazelle Champion Mondial which we are featuring here. 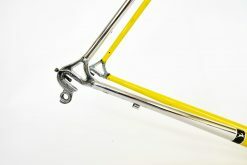 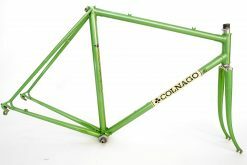 This beutiful frame Campagnolo dropouts and build with high quality Reynolds 531 competition tubes. 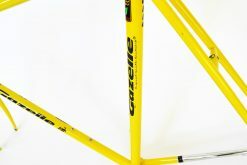 Some spots of use on the frame and scratches as I displayed on the pictures.No dents and no cracks. 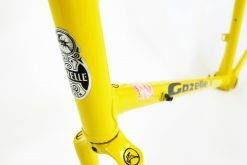 See all the pictures and judge for yourself..